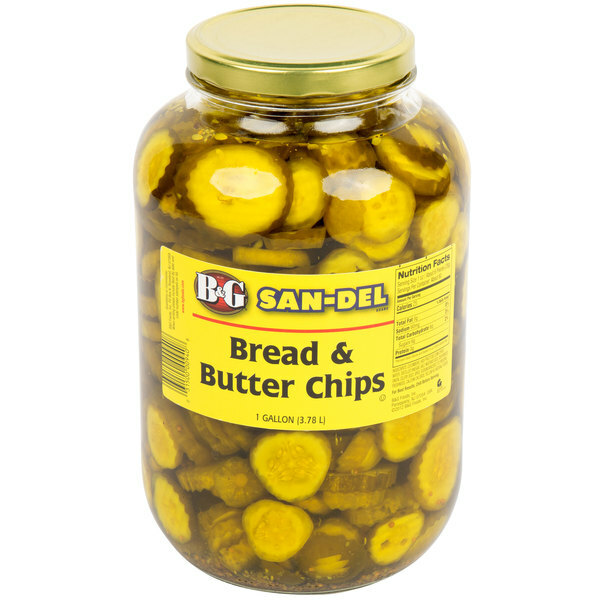 Top off a variety of meals with these flavorful B&G 1 gallon sliced bread and butter pickle chips! 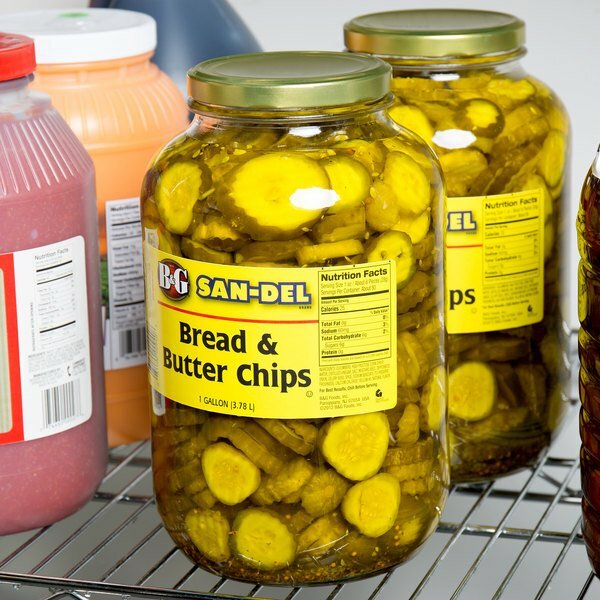 Packaged in an ample 1 gallon container with whole spices, these popular pickle chips are perfect for always having on hand in your deli, sandwich shop, restaurant, or diner. With their bold, crisp flavor and classic crinkle cut, these pre-sliced bread and butter pickles will save you money and valuable preparation time without sacrificing taste. 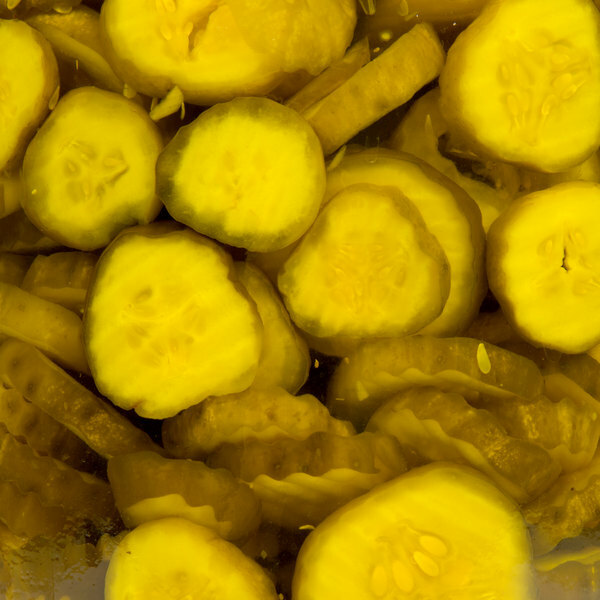 These tangy bread and butter pickle chips are perfect for garnishing a variety of menu items like hamburgers, sandwiches, and salads with a refreshingly crisp crunch. 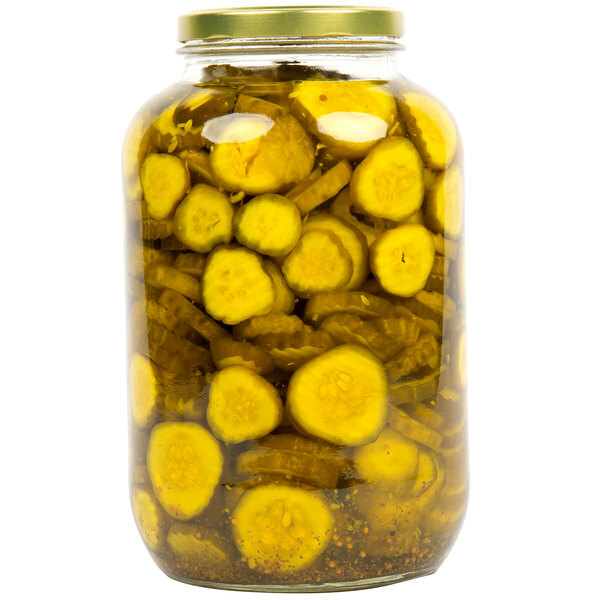 For a southern twist, try coating these bread and butter pickle chips in a batter of buttermilk and corn meal and frying them to perfection for a crispy, golden appetizer. 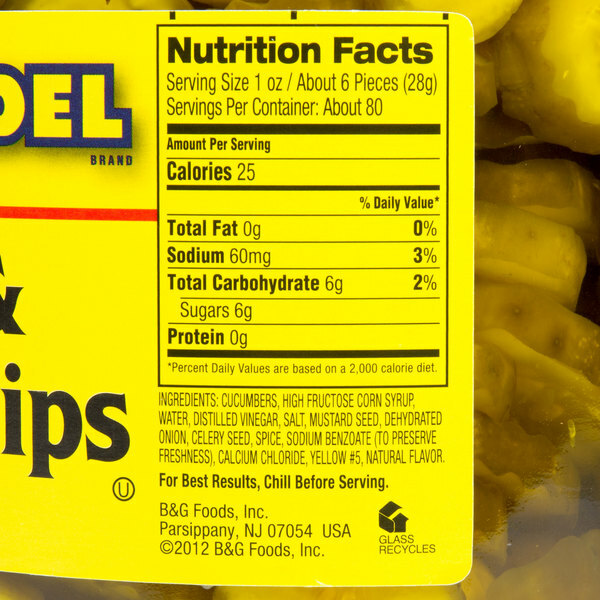 Made with simple ingredients like cucumbers, vinegar, and salt, these pickle chips will delight your customers with the classic taste they know and love. Created by the Bloch and Guggenheimer families, B&G was founded in 1889 and quickly grew from selling in the streets of New York to building a large retail and food service business by placing the quality of their products first. 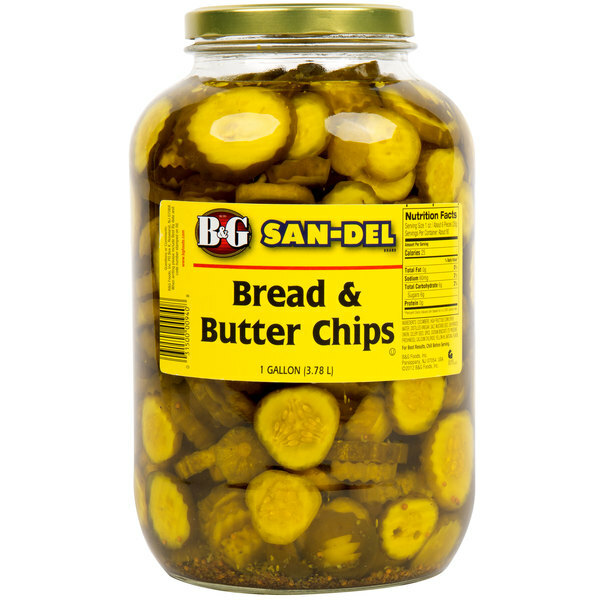 B&G is proudly one of nation's most-trusted brand in producing pickles, peppers, olives, and relish today. With B&G's dedication to high-quality products through good manufacturing practices, you can trust in serving a consistently fresh taste to your customers.